Wuffle the puppy, Lou the kitten and Billington the duck are playing happily in the garden. But when disaster strikes, who will save the day? 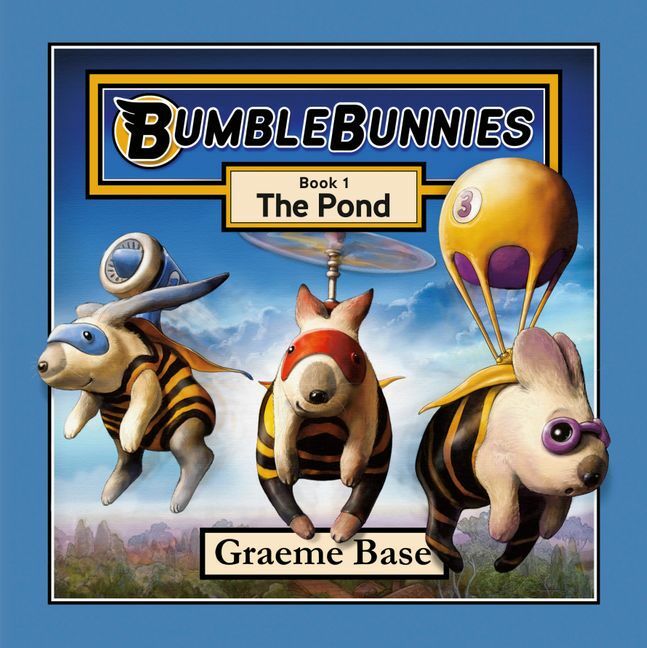 Graeme Base has been writing and illustrating for children for over thirty years, with worldwide bestsellers Animalia, The Eleventh Hour and The Waterhole known and loved by millions around the world. The recipient of numerous Australian and international publishing awards, and with global sales exceeding six million copies, he has established himself as one of Australia's pre-eminent creators of imaginative works for children.A passion for music and theatre has led him to adapt three of his titles for the stage, writing the book, music and lyrics for all three: The Sign of the Seahorse (Melbourne Concert Hall 2002, Kennedy Centre Washington 2009), My Grandma Lived in Gooligulch (Vic Arts Centre 2006) and most recently Jungle Drums (2008). He is currently adapting his 1999 sci-fi epic The Worst Band in the Universe as a concert/stageplay and working with acclaimed puppeteer Peter Wilson to create a stage version of The Waterhole.Graeme collaborated with Ewan Burnett of Burberry Productions to create a 40 x half hour animated television series based on Animalia. To date the series has been sold into approximately 130 territories worldwide and in 2009 won a Daytime Emmy for best musical score.Graeme was recently awarded an honorary doctorate from Swinburne University in recognition of his achievements in children's book publishing.